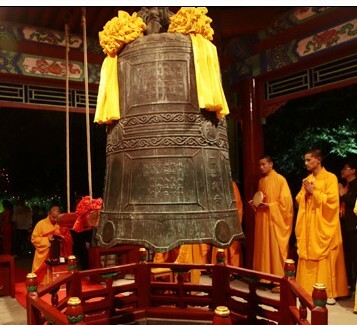 A bell ringing ceremony will be held on the night of New Year’s Eve at Nanshan Tourism Culture Zone to welcome the arrival of the New Year, 2013. Every year, a large number of visitors from both home and abroad come to the temple to attend the traditional ceremony, at which monks ring the bell 108 times, symbolizing driving evil away and welcoming happiness and good luck in the new year. Among other similar culture folk events are New Year gala performances, Long Noodles Festival, tying a wish to the auspicious tree, releasing fish and birds, and sunrise watching on New Year’s Day. Besides those, varied performances such as chanting and prayer activities in the Nanshan tourist sites will continue until Jan.3 to add to the festive celebration during the 6-day short-term travel holiday. Admission to the Nanshan Temple on the New Year’s Eve will cost 78 yuan per person.